BEAUTY & ESSEX WILL OPEN IN LAS VEGAS AT THE COSMOPOLITAN: Beauty & Essex opening on May 16 at The Cosmopolitan is a partnership between the TAO Group and acclaimed personality chef and restaurateur Chris Santos. Since opening in 2010, Beauty & Essex has been a popular dining destination on the Lower East Side in New York City. There it is a multi-level restaurant and lounge that revolutionized dining in the neighborhood with Chef Santos’s brand of innovative, communal share plates and stylish design. 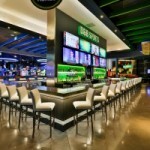 DAVE & BUSTER’S TO OPEN FIRST NEVADA LOCATION: Dave & Buster’s will open this summer in Downtown Summerlin®. The 33,000-square-foot venue will be located on Park Centre Drive, across from Regal Cinema 5 with upscale cuisine, cocktails and games, along with massive HDTVS for watching sports. Dave & Buster’s, headquartered in Dallas, Texas, operates 82 high-volume large-venue, restaurant/entertainment complexes throughout North America. 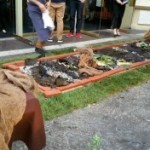 BORDER GRILL AT MANDALAY BAY DEBUTS NEW MONTHLY EVENT: Border Grill at Mandalay Bay just launched a new monthly event: Border Grill Patio Series with a Spring Break Clam Bake where they cooked outside on a lawn. The events are being designed by Executive Chef Jamaal Taherzadeh to present diverse, one-of-a-kind happenings that fuse the restaurant’s signature tastes with an outside element – literally and figuratively. The dining experiences take place on the restaurant’s patio each month during the warm weather season. 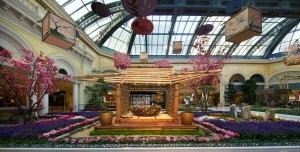 BELLAGIO CONSERVATORY DISPLAY HONORS JAPANESE CULTURE: The new display at the Bellagio Conservatory & Botanical Gardens continuing through May 14 features blooming cherry blossoms, peaceful waterfalls and traditional Japanese architecture. Focal points exhibited among a total of 82,830 flowers include: a symbolic 12-foot-tall tea house; hand-made wreath named Senbazuro Nest, complete with 1,000 Origami cranes; 14 colorful floating parasols; two bamboo-structured Tsukubai waterfalls outlining the path through a 30-foot dogwood tree; a pond with 75 Koi fish; birds; an 18-foot-tall cherry blossom tree; a topiary turtle made of 850 fresh cut roses; five rustic twig fountains covered in moss; and three hand-painted Japanese lanterns. This beautiful display is free to the public 24 hours every day. SLS WILL HOST PRE & POST ACM PARTY FOR A CAUSE FESTIVAL PARTIES: SLS Las Vegas will hold official back-to-back pre and post festival parties March 31-April 3 that will follow the 4th Academy of Country Music’s (ACM) Party for a Cause® Festival. To kick off Las Vegas’ largest country music festival, SLS will host the official opening party Thursday, March 31at Foxtail Nightclub at 10 p.m. and feature top touring remixer and producer Dee Jay Silver making his debut at the venue to support the cause. Tickets start at $20. ACM’S PARTY FOR A CAUSE ATTENDEES GET MONORAIL DISCOUNT: The Academy of Country Music (ACM) is partnering with the Las Vegas Monorail and offering festival attendees an exclusive offer: 20 percent off multi-day passes for the Las Vegas Monorail. The festival will be headlined with full set performances by superstars: Carrie Underwood on Friday, April 1; Dierks Bentley on Saturday, April 2; and Kenny Chesney on Sunday, April 3, at the Las Vegas Festival Grounds. The offer will also be available for attendees of the 51st annual ACM Awards and the ACM All-Star Jam Party, both scheduled for April 3 at MGM Grand. THE EXTREME THING SPORTS & MUSIC FESTIVAL RETURNS: Extreme Thing Sports & Music Festival, presented by Clark County Parks & Recreation, is returning on Saturday, April 2 from 11 a.m.-10 p.m. with a new layout, five concert stages, the Vegas AmJam – an amateur skate and BMX competition, vendor village and food area. Additional extreme sports demonstrations and interactive games will be available throughout the day including live wrestling, laser tag, an escape room, orbiter, “American Ninja Warrior”-inspired obstacle course and much more. For the first time, Extreme Thing will feature a beer garden. It will be held at Desert Breeze Park, 8275 Spring Mountain Road at Durango Drive. General Admission is $20 through April 1 and $25 at the gate (if available). 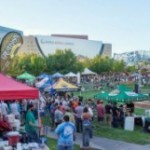 NEVADA’S LARGEST CRAFT BEER EVENT RETURNS DOWNTOWN: The sixth annual Great Vegas Festival of Beer (GVFB) will take place Downtown on Saturday, April 9, from 3 to 7 p.m. Tickets are $40 for General Admission and $50 for Early Entry at 2 p.m. until Saturday, April 9 and at the door $45 and $55. VIP tickets are sold out. A portion of ticket proceeds will benefit Goodie Two Shoes Foundation and The Nevada Craft Brewers Association (NCBA). 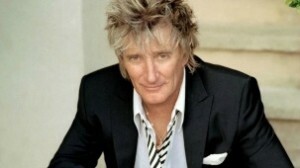 ROD STEWART ADDS SHOWS TO HIS RESIDENCY AT CAESARS PALACE: After kicking-off the fifth year of his blockbuster residency with his “Rod Stewart: The Hits” show in The Colosseum at Caesars Palace, Stewart has added nine extra shows between Aug. 3-21. Since his show’s debut in 2011, Stewart has been seen by nearly a half million fans. Ticket prices range from $49 to $250. JOURNEYS® 2016 VANS WARPED TOUR® WILL STOP AT THE BACKYARD: The Vans Warped Tour®, presented by Journeys®, is America’s longest running summer touring music festival. Now in its 22nd year, the 41-date tour will make a stop at the Backyard, the Hard Rock Hotel’s newest outdoor music venue, on Tuesday, Aug. 9 at 2 p.m. Tickets start at $29. 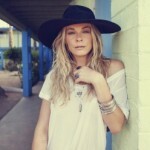 LEANN RIMES SET TO PERFORM AT HENDERSON PAVILION: Two-time Grammy Award winner LeAnn Rimes will be performing her greatest hits at the Henderson Pavilion on Friday, May 20 at 7:15 p.m. Rimes became a household name nearly two decades ago, when at 14 years old she became the youngest person to win a Grammy for her album “Blue” and she earned two Academy of Country Music Awards for the album. Tickets range from $20 to $75. 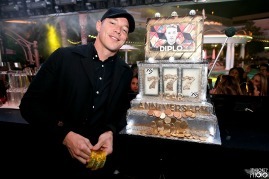 XS NIGHTCLUB AT WYNN CELEBRATED ITS 7TH ANNIVERSARY: XS Nightclub at Wynn celebrated its 7th anniversary recently with Grammy-winning artist Diplo along with other renowned DJs including Wynn’s resident artist Alesso. Since opening in 2009, more than 5 million people have experienced XS Nightclub, which has been named No. 1 nightclub by “Nightclub & Bar” for an unprecedented five years. XS recently underwent an approximate $10 million production redesign with upgrades including the latest in video, lighting and pyrotechnics. THE CENTER DOWNTOWN HOLDS ‘HOMECOMING’ EVENT ON APRIL 2: To commemorate three years in the Robert L. Forbuss Building located at 401 S. Maryland Pkwy and 22 years in the community, The Center (The Gay and Lesbian Community Center of Southern Nevada) will host its third annual free HOMECOMING community event on Saturday, April 2 from 8 a.m. until 2 p.m.
SPYONVEGAS.COM HOT 100 RETURNS TO WET REPUBLIC AT MGM GRAND: The SPYONvegas.com Hot 100 will return to WET REPUBLIC at the MGM Grand on Friday, April 22 for another seasonal competition where ladies compete in the “Bikini Battle Royale” taking place over select Fridays throughout the summer. Over the 14-week competition, $150,000 in cash and prizes will be at stake. The final top five contestants will have an opportunity to spin a wheel during the Grand Finale event Friday, Aug. 12 for a chance to win $1 million. Ladies can enter at SPYONvegas.com. CITY OF HENDERSON GEARS UP FOR CRAZY SPOKES: The City of Henderson is holding an event to celebrate the bicycle on Saturday, April 9 from 9 a.m.-2 p.m. at the Henderson Events Plaza. Crazy Spokes will include a 30-mile bike ride, 5.5-mile family fun ride, and the Healthy Henderson Fair. The cost is $20 per adult and $10 per child in advance for the 30-mile ride, and $5 per person for the family fun ride. Cyclists are encouraged to wear colorful and unique outfits. MAIN STREAM NEWS: Starting strong, the new T-Mobile Arena just added a double-bill featuring mega-stars Nicki Minaj and Ariana Grande for a show at the new arena on Thursday, April 8. Upcoming shows at The Chelsea at The Cosmopolitan include: The 1975 with The Japanese House April 23; The Band Perry with Brett Young April 29; X107.5’s “Our Big Concert” May 12; The Cure with The Twilight Sad May 19; Bryan Adams: Get Up! Tour July 2; Rockstar Energy Drink Taste of Chaos Tour July 15; Steve Miller Band Aug. 12; and Lynyrd Skynyrd & Peter Frampton Aug. 19. Supermodel Cindy Crawford recently enjoyed a picture-perfect day at the Grand Canyon with her husband Rande Gerber, son Presley and daughter Kaia during Maverick Helicopters’ Wind Dancer excursion. The Animal Foundation’s “Best in Show” will be presented on April 10 at The Orleans. The next First Friday, which is a monthly celebration of creativity and authentic Las Vegas culture, will be held Downtown on April Fools’ Day. 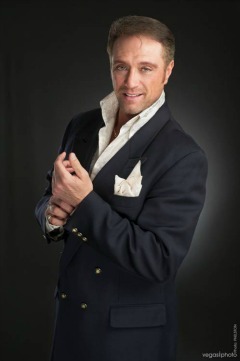 Dynamite high-energy showman Wes Winters who sings and plays the piano will celebrate his five-year anniversary performing in the Grandview Lounge at the South Point on Friday, April 8 from 6-9 p.m. This week, Loco Cantina at Town Square is launching new daily specials and entertainment every night of the week. The themes are: Margarita Mondays; Taco Tuesdays; Loco Wednesdays with 20 different beers on draft; Tequila Thursdays; Party on the Patio – Friday and Saturday nights; and Hangover Sundays. Next month, Loco Cantina will be announcing its new Late Night Menu. TREVI Italian Restaurant inside The Forum Shops at Caesars has simplified the ordering process for guests on restrictive diets with the launch of a vegetarian, vegan and gluten-free menu. Last week, “Dirk Arthur Wild Magic” at Westgate concluded its initial run of shows there and will return this summer. On Tuesday, March 29 at 7 p.m., The Mob Museum downtown will host a Courtroom Conversation: “Who Controls Our Prisons?” Each Courtroom Conversation features a moderated panel discussion with prominent speakers, including authors, scholars and other high-profile public figures. 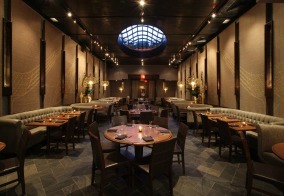 The Barrymore at the Royal Resort is launching industry nights two nights a week from 5 to 10 p.m. Beginning Monday, April 4 industry locals will receive 50 percent off all food items and starting Wednesday, April 6 enjoy buy one, get one free beverages or a bottle of wine for $25. The Social Hour menu and select wines will be excluded and a TAM card and employment ID will be required. LAS VEGAS SPIRIT FEST SET FOR APRIL 9: The Las Vegas Spirit Fest, a Christian faith-based festival, will be held on Saturday, April 9 from 11 a.m. to 9 p.m. at Desert Breeze Park. There will headlining performances from some of the biggest names in Christian Music, such as Kutless, Jamie Grace, David Dunn, All Things New and Morgan Harper Nichols as well as local Christian musicians, gospel singers, carnival rides and games, food and business vendors, arts/crafts, and more. Presale tickets start at $7 general admission and $10 at the gate. ESSENCE VEGAS STARTS WELLNESS WEDNESDAYS EDUCATION PROGRAM: Essence Vegas marijuana dispensary and resource center is introducing Essence Educates: Wellness Wednesdays, a bi-weekly free educational program designed to teach current and potential patients about the medical benefits of cannabis, how it’s produced and proper uses. Being held every other Wednesday at 7 p.m., the first event will take place at Essence Vegas, 5765 W. Tropicana Ave. Upcoming classes include: Know Your Medicine March 30; Know The Law April 13; Know The Health Benefits April 27; and Know Your Extraction May 11. 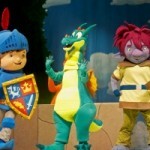 ‘KOBA’S GREAT BIG SHOW LIVE!’ WILL VISIT HENDERSON PAVILION: “Koba’s Great Big Show Live!” starring Mike the Knight, Max & Ruby and Franklin will appear at the Henderson Pavilion, 200 S. Green Valley Pkwy., at 5:30 p.m. on Saturday, April 16 and 2 p.m. on Sunday, April 17. This production brings popular characters to life in musical storylines from Koba’s most popular productions. Tickets are $15 and $25.